These pictures represent 4 months progress. The before pictures are actually from a couple of years ago, but are an accurate view of what I looked like on day 1. I began my cut on December 1st, 2016. I was on a measly 1200 cal/day and absolutely miserable–trying the same old “clean eating” way of eating. Little to no carbs, sugar, fat, or food at all for that matter. In a last ditch effort to find a way to lose fat and keep my energy and some muscle, I hit up Google one final time. 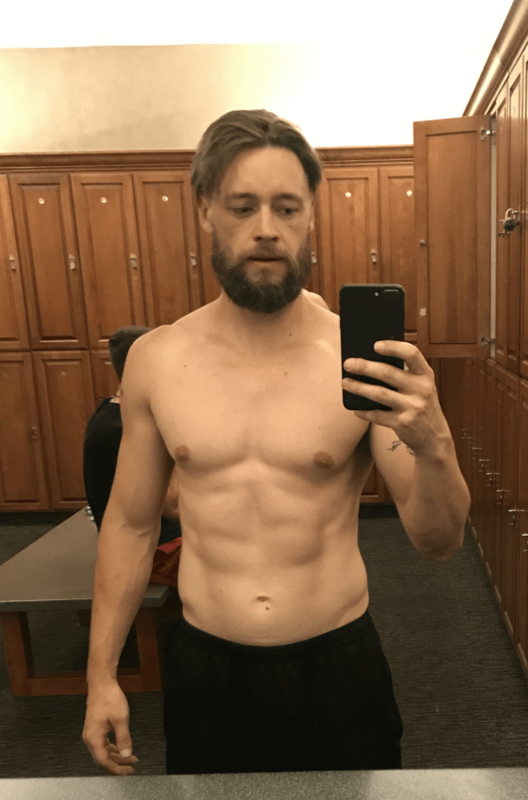 I stumbled across Mike Matthews’ blog about “How to Build Muscle and Lose Fat…at the Same Time” and it changed everything. I saw he had a book and went back and forth about buying it because of how much the fitness industry and their “promises” have let myself and others down. 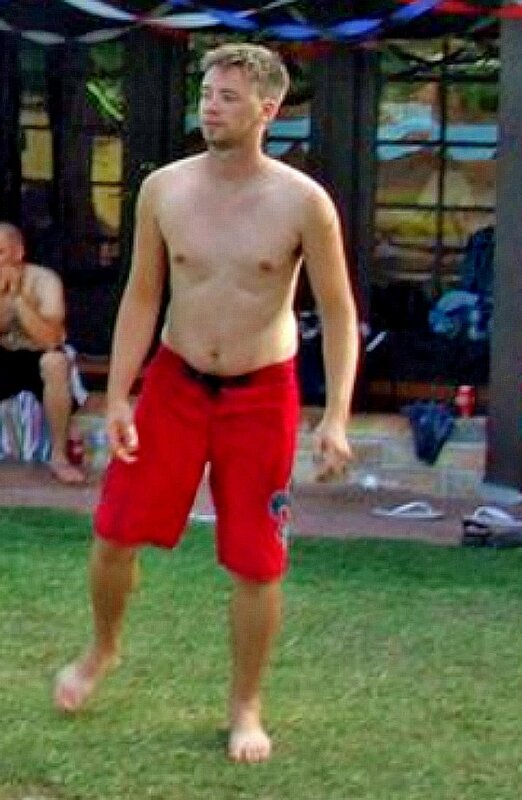 However, I ended up getting Bigger Leaner Stronger for Christmas. I read the book in 2 days and began applying the methods on January 1st 2017. At this point I had lost about 7 lbs during the month of December by basically starving myself. The transformation I was seeing happening on a weekly basis was incredible–I had finally found a way to burn fat like crazy, build some muscle in the process, and not HATE the “dieting” part of it! Over all I’ve lost 32 lbs and 13-14% body fat, gained a considerable amount of lean mass, and best of all, been able to eat just about anything I want (within reason). Most incredibly, I was able to do this with minimal cardio. To get from about 13% to 10% body fat, it took 2 or 3, 20 minute sessions a week for about 3 weeks–and that’s IT! I’ve been reverse dieting for the last few weeks and just hit my maintenance level. I’m excited to push through to bulking numbers now and see what happens over the next several months! During my cut, I did have a great increase in strength over the first 8 weeks. I added about 20 lbs to my bench and about 50 lbs to my deadlift. After that initial period of “gains,” I seemed to have hit a wall on most all of my lifts, but that was expected. I’m currently working through the Bigger Leaner Stronger 5-day split and loving it! My overall impression of the fitness industry is pretty jaded. There’s always the “new fad” this or that coming out. Almost all the time these studies have the “newest and greatest” answers to fat loss. These “studies” are usually cherry picked to support their supplements or methods. I feel like they prey on the weak and ignorant. I’ve tried programs from several other industry “leaders”–all to no avail. They’re just too hard to stick to for most people. So at first, my reaction was: “Great, another ‘fitness guru’ with ‘THE WAY. '” However, what got me is that I’m a statistics kind of guy. If something is supported by good scientific research, then I can get on board. What caught my attention was the use of full medical studies, the transparency in which they were used in the blogs, and later when I read the Bigger Leaner Stronger book. The fact that biologically we’re all mostly the same–meaning anyone that wants to be serious about losing fat can do this and they don’t have to starve themselves or do 10 hours a week of cardio to hit their goals. Really, these gyms need to cut their cardio machines in half and put in more benches and power racks! There is no comparison. They all sucked–this one actually works! Really, though, this one is doable, it’s honest, and it pushes you in a good way–other programs seem like their goal is to starve you and exhaust you in the gym. These workouts are hard no doubt, but I don’t go home absolutely drained. I’m a Pastor, so I speak publicly on a weekly basis and have for years. Early on in my career, confidence was an issue, but the longer I spoke–and the more I realized it wasn’t about me, but about them–the less that became an issue. However, when someone looks good they also carry themselves differently. I certainly feel better, and feel more confident. I’ve had many people come to me and ask what I’m doing to look so good. How can that not make you feel better about yourself and what you’re doing? Anyone–I’ve got a solid group of guys (and their wives) all jumping on board because of the transformation they’ve seen in me. I really believe that if someone will start with this program, they’ll feel better, look better, and have the confidence to continue when they start to see the transformation in their own bodies. If I were to recommend one thing to go with your transformation journey, it would be to get a partner to do this with. Accountability is key, I believe. This has to be someone you’re comfortable getting uncomfortable with (if that makes sense). Someone that won’t let you slide or you won’t let them slide, and you’ll call each other out if needed. I do; during my cut, I used PHOENIX and PULSE. I still use Pulse, but now that my cut is over I’ve stopped using Phoenix. About half way through my cut, I started getting some pretty major inflammation in my rear left shoulder/bicep area. After doing some research and reaching out to Mike about FORTIFY, I decided to give it a shot, and a week later that pain was gone. I continue to take Fortify daily now as well.